Are you throwing a party or arranging a special event such as a birthday or anniversary? 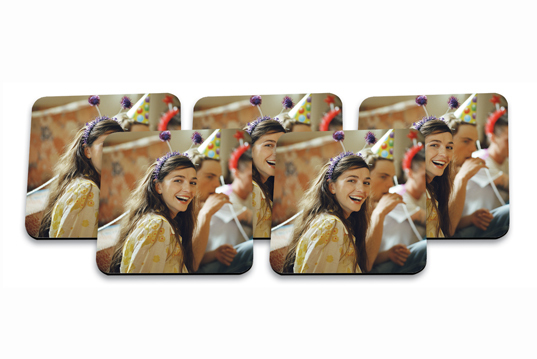 Why not add a personal touch with a beermat showing a favourite photo? If it’s for business, just add your company logo. Please choose one photo per pack. The picture is printed on one side, size 9.5cm x 9.5cm.